This post might be a liiittle but late for that greeting (but it's January, so it still counts, okay?!) but I'm happy to finally be posting my first blog of 2016! Yeaaahuhh buddy! I was thinking about posting the generic "New Years Resolutions" post, or even a "2015 Flashback" - but I quickly decided against it, for I'm sure as a blog reader you've been over-saturated with them. Instead, I'm going to share with you all some photos I took on a little day date I had towards the end of last year with someone very special to me - my boyfriend, Joey. You'll be hearing a lot about Joey in maaaany many future posts to come, so I thought it only right to start the year off introducing him to my readers properly. Plus to be honest, I looked like a straight up hobo on this particular day and did not want to be photographed. So he was my (handsome, bearded) model for the afternoon, and I can't exactly post a bunch of pictures with some dude in them without telling you about him, right? That would be bad blogger etiquette! Alright, a little backstory - Joey and I actually met over 3 years ago at a popular nightclub in Dublin while I was backpacking Europe. I was there having a night out with Angelina (if you're an OG reader of this blog you know who that is!) and my brother & his friends, Joey was there to celebrate a friends birthday. I was in a dance circle with my peeps (like ya do) when I decided to do an alcohol-induced spin-y dance move. Half way through my spin, I stopped because I saw a beautiful (beardless) Irish boy with big arms and pretty blue eyes walking behind me. He also stopped when he saw me. We stood there just staring at each other for a moment before he grabbed my hands and took me into a corner to dance. We spent the night dancing, kissing (don't judge me...his accent alone had me weak) and chatting about music and travel. We were together until the club closed. Before we parted ways, we exchanged phone numbers to keep in touch, and that is how this whole thing started. Mind-blowing, right? And this picture doesn't even do it justice. 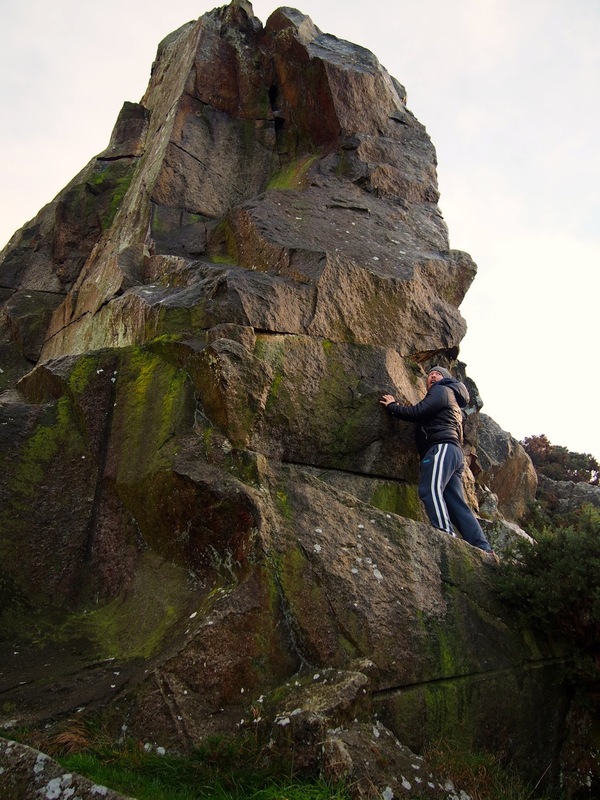 The last time I lived in Dublin, Killiney Hill was a staple in my regular adventures. It's a nice workout, the view never gets old, and in the summer it's lovely to visit the beach as well. But what I didn't know is that Killiney Hill is WAY bigger than I thought. Joey took me around to places on the hill I didn't even know existed! I was genuinely so floored that I had left so much of it undiscovered. Where we bravely scaled walls, while the rain started to thrash! By the time we reached the car, we were wet & freezing, but it was still a glorious day well spent! 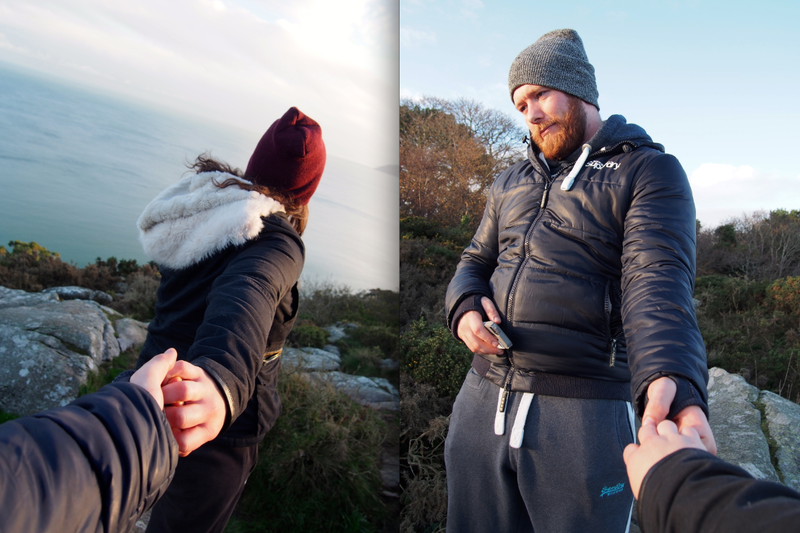 If you live in Dublin or plan on visiting Dublin, I honestly could not recommend Killiney Hill more. It's easily reachable by train and makes for the perfect mini-hike, picnic spot, or a derpy photography session. 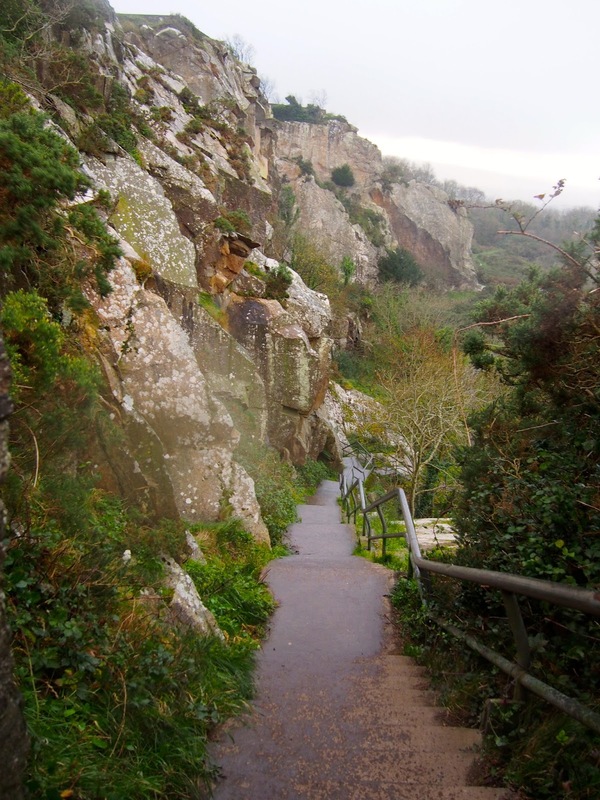 Click here for a link to roughguides.com, where they have a nice description of an easy way to enter the park!